Function of the Squadron changed; becoming Group pool Squadron to undertake training up to operational standard of newly qualified pilots at Flying Training School and pilots of the R.A.F. Volunteer Reserve. One flight re-equipped with 6I.E. and 2 I.R. Anson aircraft, surplus Harrows transferred to stored reserve. Squadron Leader J. H. Hargroves promoted to Wing Commander and posted to No. 102 Squadron, to command, on April 3rd. Flight Lieutenant G. E. Peacock assumed command of “B” flight, with effect from this date, on posting from No. 99 Squadron. Squadron begins to re-equip “A” flight with Wellington aircraft up to an establishment of 6 I.E. and 2 I.R.. Re-equipment effected within 8 days of arrival of first aeroplane. All Harrows transferred to Maintenance Units. 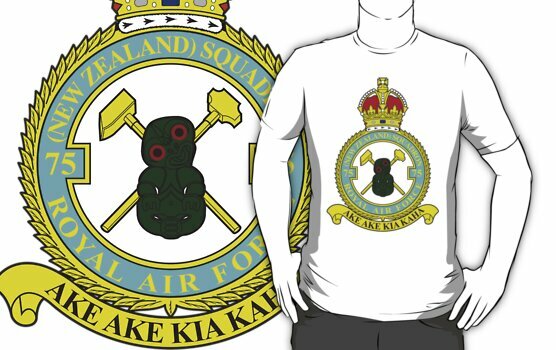 Squadron transferred from The R.A.F. Station Honington, to the R.A.F. Station Stradishall. Move completed by 14.00 Hrs; July 15th 1939. Flight Lieutenant G. E. Peacock promoted to Squadron Leader. Three Wellington aircraft take part in the Annual Home Defence Exercises. Exercises completed 11.8.39. 11.00 The Prime Minister announced that as from 11.00 hours today, a state of War existed between this country and Germany. 13.00 The air party, consisting of 7 Wellingtons and 7 Ansons moved to their war Station (Harwell). The advance road party also proceeded by road, consisting of 3 Officers and 20 men. 13.00 The first main party departed by road for Harwell, consisting of 75 airmen. 13.00 The second main party departed by road for Harwell, consisting of 16 officers and 93 men. 13.00 The rear party consisting of 1 officer and 17 airmen, departed by road for Harwell. Move of Squadron completed. Squadron now administered by No.6 Bomber Group, vice 3 Bomber Group. See appendix “A” for composition and strength of Squadron. Extensive night flying carried out to qualify instructors as 1st Pilot (Night) on Wellington aircraft. Wellington aircraft L 4256 crashed at ABERDARE, Wales, at 0640 hours, having run out of fuel after approximately eleven hours‘ flying. Aircraft was engaged on an operational night flying cross-country, ran into bad weather and W/T communication failed. The Captain, F/Lt. A.H.SMYTHE, Pilot F/O P.J.R. Kitchin, and three crew all escaped safely by parachute. New system of training commenced . Training of crews to be carried out by joint efforts of both 75 and 148 Squadrons; the former being responsible for Armament and Operational training and the latter for Conversion flying and Navigation; the course for Pilots, W/T Air Gunners and Air Observers covering a period of six weeks. 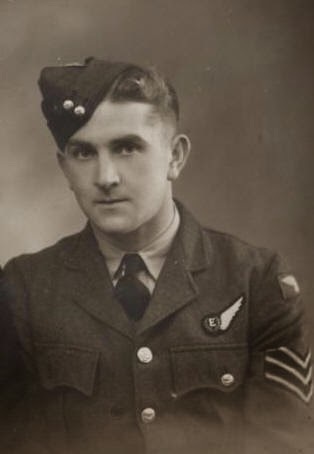 Flying Officer M.J. Earle posted to Royal Air Force Station, Feltwell on completion of training for qualification as 1st Pilot on Wellington aircraft. The following officers were posted to royal Air force Station, Feltwell, on qualification as 1st Pilot on Wellington aircraft, Flying Officer G.V. Gordon, Pilot Officers B. STATAM, H.S. Taylor, D.T. MACPHERSON and J.E. ATKINSON. All Anson aircraft have now been transferred to No. 148 Squadron, this Squadron operationally training with Wellington aircraft only. A visit made to the A.A.S.F., RHEIMS, FRANCE, by aircraft, Wellington L 4366, of this Squadron. The crew consisted of S/Ldr. G.E. Peacock (Captain), W/Cdr., D.D.’ A.A. Greg DFC., A.F.C., (Pilot), P/O. B.O.C. STEVENS (Navigator), two air gunners and one wireless operator/air gunner. Passengers were Capt. R.B.F.K. GOLDSMITH (Group Intelligence Officer), and S/Ldr. P.de G.H. SEYMOUR. An attempt was made to reach the same destination the previous day , but the flight was abandoned owing to fog over the FRENCH coast. The route taken on the outward journey was – ABLINGTON – NETHERAVON – WORTHING – LE TREPORT – POIX – VILLERS COTTERETS – RHEIMS – CHAMPAGNE, and that of the return journey – RHEIMS – CHAMPAGNE – SOISSONS – LE TREPORT – WORTHING – ABINGDON. “A” Flight commenced armament training of pupils and on the dates stated carried out low level and high level bombing practices at CRICHEL DOWN Range, operating from BOSCOME DOWN aerodrome. The following officers were posted to R.A.F. Station, Feltwell, on qualifying as 1st Pilot day and solo night on Wellington aircraft. Pilot Officers A.J. PAYN, R.N. ROSS and J.D. MORRISON, with effect from 16.10.39. “A” Flight were detached during this period, at SQUIRES GATE aerodrome for air firing training of pupils. Wellington aircraft L 4367, Captained and Piloted by F/O. J.L. REES, whilst finishing its landing run came to grief when both undercarriage legs retracted. Reason for this is obscure and will be subject to a court of inquiry. No injuries incurred. “B” Flight commenced Operational training of pupils, carrying out operational flights at over 20,000 feet by day and night. “A” Flight carried out high and low level bombing training of the second course of pupils. Aircraft operated from WESTON-SUPER-MARE and practices were carried out on sea markers and smoke floats out to sea off WESTON-SUPER-MARE. 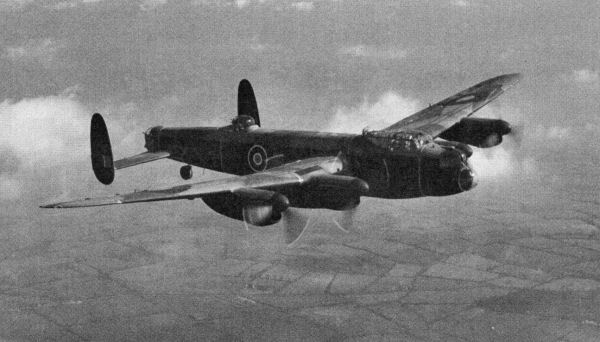 11.15 Wellington aircraft L 4322, Captained and Piloted by F/Lt. N.M. BOFFEE, was involved in a crash. Whilst approaching to land on the aerodrome, the port undercarriage struck an obscured obstruction at the boundary, collapsing it and causing the aircraft to crash on landing. No injuries to the crew of three were sustained. “A” Flight was detached to CAREW CHERITON during this period for air firing training of the 2nd course of pupils. The following officers were posted to R.A.F. Station, Feltwell, on completion of their training as pupils of No. 1 Course :- Pilot Officers J.F. SWIFT, J.C. YOUNG, E.A. WICKENAMP, D.W.W. MORRIS, M. RADCLIFFE and Flying Officer R.T. THOMAS. These officers, together with two air observers and five wireless operators, successfully completed their courses. Flight Lieutenant R.N.J. WHITE posted to this Squadron to fulfil vacancy of Adjutant (non-flying) vice Pilot Officer B.O.C. STEVENS. Pilot Officer D.C. CARLETON posted to No. 7 Air Observers School for flying duties. “A” Flight was detached at SQUIRES GATE aerodrome during this period for air firing training of pupils. The training carried out by the Squadron was reorganized and modified arrangements carried out. “A” Flight became a Wellington Conversion Flight with six aircraft and “B” Flight became the Operational Training Flight with 12 aircraft. Flying Officer L.H. EDDISON attached to this unit from No. 148 Squadron. “A” Flight was detached at HONINGTON for training owing to unserviceability of Harwell aerodrome. Pilot Officer B.O.C. STEVENS posted to No. 148 Squadron. Flight Lieutenant A.H. SMYTHE promoted to Acting Squadron Leader and posted to No. 148 Squadron. Air Ministary signal posting Wing Commander D.D.’A.A. GREIG, D.F.C., A.F.C., to Canada. Wing Commander GREIG left Harwell. Squadron Leader P.de G.H. SEYMOUR assumed command of No. 75 Squadron.